When I read the book ‘The monk who sold his ferrari’, somewhere I wished that I too get a chance to go on such a spiritual journey. Last year I came to know about Vipassana . Vipassana is a 10 days residential course where they teach you meditation and other techniques to help you know yourself better. Its completely free of cost. I personally believe in meditation a lot and think our mind has infinite power if we can tame it. Like many other people I also thought that going for a 10-day course where you are completely disconnected from the outside world (i.e. no access to cell phone/internet) is next to impossible but deep down I wanted to go for it. 15 days back I was thinking of going for some 4-day meditation course but then a friend of mine insisted that I should go for Vipassana. He assured me 100% satisfaction from Vipassana. Once again that desire to go for Vipassana became stronger and I started researching about Vipassana online. I read almost all the stuff available online related to Vipassana. I read about experiences of different people from different parts of the world and found one common feedback ” ITS WORTH IT” . 90% of the people who went for the course simple loved it and thought it was one of the most wonderful experiences of their life. Its supposed to be very tough. You have to maintain noble silence for 10 days. You cant even look at each other. They want you to be completely with yourself. Initially it sounds like an insane thing to do but you won’t hold the same view after you are done with the course. So I had made up my mind that I will go for Vipassana. For some reason I was excited about it. I decided that I will do it very sincerely and try to get the best out of it. I somehow had a feeling that it will have a profound effect on me. I was so happy to read other peoples’ experiences that I convinced my dad also to come with me. My dad being a business man thinks he is the busiest person on this earth but when Shweta tries to convince then who can deny so he agreed to come with me . It was very surprising for all our family members to believe that my dad agreed to go for this course and be disconnected from this world for complete 10 days but then everything happens for good. Vipassana has centers throughout the world. We went to the New Delhi centre which is located in Sohna. This center is 10 years old. You have to report one day before the course starts at around 3 PM. As I entered the center (on April 2, 2008), I was glad to see how beautifully they had made the center. Usually centers are little away from city in a calm place. There was something wonderful about the ambience there. Everybody gets one room each with an attached bathroom. They do believe that cleanliness is next to godliness. Everything was very well managed. Usually people in India don’t expect a center (which is free of cost) to be this clean so it was a pleasant surprise for everybody. I was assigned my room and I happily went and put my stuff there. There is complete segregation of males and females so in 10 days me and my dad never even looked at each other (talking was a distant thing). Noble silence begins at 8 PM on the same day of registration and people want to talk as much as possible from 4 PM (registration time) – 8 PM. They highly recommend that one shouldn’t try to mingle with others during those 4 hours as it will hamper your chances to maintaining noble silence but who listens I talked to almost every female after the noble silence got over because I was curious to know how was their experience with the course. One of the most important thing about the course is maintaining noble silence i.e. you can’t talk to anybody there not even through signals. Only if its required, you can talk to your teacher and administrator. They kept telling the importance the noble silence but it was sad to see that people don’t realize it . Lot of people don’t realize that it will be for their benefit and end up talking when nobody is looking at them . I told myself that its for my benefit so I never even got that temptation to talk. I think if a talkative girl like me can maintain noble silence then anybody on this earth can . Its just that we feel we can’t. If you tell any girl about noble silence for 10 days then her first reaction would be ” Are you nuts ? Noble silence for 10 days ? Its impossible” But I can tell you from personal experience that once you decide you will be able to do it. The course is no doubt very tough and that’s the reason they ask you again and again if you are mentally prepared to follow the guidelines . Lot of people get scared after reading the code of discipline and decide never to go for it. Before the course begins they ask you to surrender to the technique and its rules (ONLY for 10 days). After 10 days, it will be completely your choice if you want to follow those rules. They believe that in order to get the maximum benefit from the course one should abide by all the rules. This is where most people go wrong. They surrender to the technique just for the heck of it and think they are doing a favor to Vipassana organizers by following the rules. It feels wonderful to see that Vipassana team works so hard and selflessly for people and their only motive is that people get the best out of this course. They have no other incentive at all . I wish everybody understands this and follow the rules very SINCERELY. At first getting up at 4 am , eating the last meal of the day at 11 am ( don’t read it as 11 pm because you get the last meal at 11 am ) , sitting cross-legged and observing your breath for 10 hours a day seems like the most foolish thing to do on this earth but I assure you that once you give it a shot, you wont feel the same. On the day of registration as we reached the area near our rooms, it was pretty dark and silent. I found it to be very calm and serene and was enjoying it ,then all of a sudden a voice came from behind “Hey don’t get scared. It should be fine”. I started wondering how differently people can feel about the same thing. From my room’s window I could see peacocks and listen to the chirping of birds. Now our first day begins and everybody gets up at 4 am (weird huh ?). For the first three days you have to observe and concentrate on your breathing. Almost everybody feels initially that they cant concentrate and their mind wanders everytime they try to observe their breathing and that’s the reality. By the third day, everybody is able to concentrate better than before and for the next 7 days they make you practice the main Vipassana technique. It’s indeed painful. Your legs and body ache a lot since you have to sit for so long. Almost everyday one gets a feeling “Why have I come here ? Don’t I have any other job than just looking at my breathing ?” and one literally feels like running away. My dad told me that he felt like jumping from the boundary wall and run away everyday till the fourth day. They used to ring a bell to signal the meditators that the session has got over. Lot of people used to feel the urge to ring the bell by themselves to end the meditation session I felt a lot of pain and discomfort like everybody else but as other mentioned you have to hold on to it. By the fourth day my pain began to diminish and I started to enjoy the course more. One thing that was common in those 10 days was that I was doing it very sincerely and peacefully because I wanted to feel the joy which others who did it sincerely felt. By the fifth day I started to look forward to it more. Initially I had many questions and conflicts in my mind. We all have some beliefs and when someone tells you about something contradictory then you find it uncomfortable to digest it till you understand the logic behind it and your mind accepts it. With each day I realized that all my doubts were getting cleared. There used to be three big breaks in a day. I used to go for a brisk walk during all the three breaks. No wonder everybody after the course asked me if I was preparing for some Olympic meet . There was something special in the air there that I never used to feel tired there though I used to walk a lot . I used to be happy there for no reason. Such places are supposed to have lot of positive energy and I could feel it there. It was surprising that I never thought about my work there I used to miss my home and family a lot and was looking forward to go home but at the same time was enjoying each and every day there. I was very inspired by the servers(sevika) there. They used to serve the meditators selflessly with so much of love and compassion that one can see that compassion in their eyes. Finally the last day arrived. By then I had started feeling what they call as “peace of mind” , real peace of mind. I was full of joy because I felt I have found something which I have been looking for so long. I was happy like anything. Probably everybody could see that happiness on my face. I felt free from all worries. Again and again I felt thankful to that friend of mine who asked me to go for this course and I was equally thankful to the Vipassana people for giving me this Joy. I started thinking how it will help so many of my friends and relatives who have everything but not peace of mind. Now it was time to talk to rest of the people to learn about their experiences. Can you imagine how girls would behave when they are allowed to talk after 10 days ??? All the girls just wanted to speak and nobody wanted to listen. In the cafeteria you could see all the girls just speaking. We realized that though everybody was silent but still we all were observing each other specially each others’ dresses in those 10 days but that’s girls . One girl said to another “Thank God, today you are not dressed up like one AUNTIJI/BEHENJI ” and she replied “Look at your pajama, it seems you haven’t washed it ever”. It was all in fun and we all laughed a lot. One girl came to me and said ” You know I could keep noble silence just because of you. I was so motivated by you” . Another girl said to the girl standing next to her “You know I was maintaining silence till 7th day then I saw you talking so I thought if this girl can talk then why not me. So I decided that I will talk for 10 minutes a day ” . You have all kind of people around you and its completely up to you whom you want to follow. I found one thing that in a 1 hr session, after like 45 minutes few people would open their eyes to see if others are doing it sincerely and if they see that couple of people have left the room already or not doing it sincerely then they take the liberty to do the same. So when one is doing good, he is inspiring others to do the same and when one is doing bad then he is again encouraging others to do the same. Everybody was very happy on the last day. How much each one of us got from this course depended on how much efforts one put in there BUT everybody got SOMETHING Couple of people came and told me and they were motivated to see me peaceful and sincere all the time. There were girls from Russia, Portugal, California and Singapore also. One Russian girl came to me and said ” In the initial days I used to feel tired after the meditation but then I would see you walking briskly with a smile on your face and I would feel full of energy again” . One 17 yrs old girl used to sit next to me in the meditation hall and she told me “Everytime I used to lose interest in meditation I used to open my eyes and find you doing it sincerely with serenity on your face and would get back to my meditation again with vigor”. One girl probably 10 years elder to me came and hugged me after the meditation. We had never talked before in our lives. I felt she wanted to say something. She didn’t say much but took my number so that we can keep in touch. Next day I got a call from her and she told me ” I want to say something. Till the end of the first say I was so restless and was not able to concentrate. Then I found you doing it so peacefully and sincerely and I was so motivated that all my restlessness was gone and I could do my course really well. I will be thankful to you throughout my life for helping me silently. I could find something which I have been looking for so long. Thank you so much” . I know it looks like a movie with so many things happening with me. My point here is not to boast about how I motivated others but to show how by being sincere and peaceful we not only do good for ourselves but for MANY OTHERS. If you ask me from where I got the inspiration to do it sincerely then I would say “From the people who have successfully done it before”. I cant express how much joy I felt after this. I was wondering how by doing small gestures we can bring so much happiness in others’ life. Your gesture doesn’t have to have any monetary aspect. Its just about being little thoughtful. You really feel that you get much more happiness in giving than receiving. If you haven’t experienced it then you might say ” Don’t try to be Mother Teresa or Miss Universe”. After Vipassana I really wished that everybody should experience the joy which I was feeling. It was one of best experiences of my life. I have been going through a rough phase for past 1.5 years. Problems are still the same (probably more) but my way of looking at the problems has changed after this course. On the day I came back, I was on the phone the whole day, telling people about my super wonderful experience. I am glad I could convince 8 people (including my mom and grandmother) on that day to join this course. My dad also loved it a lot. He has started sending his employees for this course. Goenka ji (Founder of Vipassana) mentioned during the course that “When my teacher went for this course he was thinking that he would be fired since he took a 10 days leave without notice but when he reached home there was a promotion letter waiting for him. BUT guys ! all of you shouldn’t expect a promotion letter when you go home now. However some of you might get it ”. Can you guys believe it that when I reached home there were so many great news waiting for me in my mail box. I had never got so many wonderful news in just one day. I truly felt being promoted when I reached home. Ever since our childhood, we have been reading and listening that we should know ourselves, we should not have ill feelings, we should not get angry, anger is our worst enemy, we should feel good for others, there should be no animosity but NO ONE told us HOW ? Vipassana tackles the “how” part of it which no one else I know has taught before. The process itself is very scientific and logical. Its not associated with any religion, caste, creed. mantra, God It has a universal approach and is applicable to every single being on this earth. A lot of executives and students go for this course to get the above benefits and it works. Anybody can experience all the above benefits given one thing i.e one gives his 100% to it . Its not some magic so you wont see a complete transition in yourself in just 10 days but it will happen gradually as you practice more and more at your place. I m glad that both me and my dad are practicing it sincerely so far. We both have been religiously getting up at 4:30 am (Insane huh ?) I would say I have just got started , may be I have walked 1% on this path BUT I am so happy that I have found this path. You will always feel that you cant manage 10 days in your work life but make up your mind and it will just work out fine. World doesn’t stop if you take a break for 10 days irrespective of what your work is. If you do it SINCERELY then you will find it to be the best thing you have done in your life. You will realize that EACH one of us has a sweet and soft self hidden deep down. This course will help you find that beautiful self of yours and others. If you go through the code of conduct then it seems like impossible thing to follow but when people of all ages ( 17 years to 95 years ) can do it then why cant you ? First few days will be tough but by end of 10 days you will know what you were working for. ITS TRULY WORTH IT . This course made this talkative girl realize that ‘silence is golden’. Not that I talk less now . I very very strongly recommend this course to anybody and everybody specially working people. Life is really beautiful and if you don’t believe me yet then I assure that after you do this course (provided you give your 100%), you will believe me 100%. May all of us be happy because that is what all of us deserve. Life is Beautiful so smile …. Updated (March 2009): I attended another session of Vipassana meditation in Dec 2008 and I still feel it was the best thing I did in my life. It was one of the most beautiful experiences of my life. I feel extremely grateful that I got two chances to attend it. This entry was posted in Philosphy, Positive thinking. Bookmark the permalink. I have been planning to go for Vipassana for past 2 years. After reading your post I am highly inspired to go for it soon. Thanks a lot for sharing your experience. I hope it will help lot of people. I promise I will try my best to do it sincerely and hope to feel the same joy which others have felt. May God bless you !! First, am grateful to twitter to have allowed me connect to you and that is how I came to know about this post. Next – it feels great to see someone selfless – someone who finds happiness in seeing others happy and feels sad when others around them are sad. I couldnt believe what i was reading because everyday I have people telling me that everyone on this face of earth is selfish – thanks for being “one more” example now who i can quote when I fight people saying that “no! everyone is NOT selfish”. There was a tear that tricked down my eye when i read this – thanks again shweta! I hope to be a part of this sometime – when i am just done with this 4 month assignment i.e. – I would seriously want to go insane and disconnected. It definitely feels great am sure. “Silence is golden” ` I learned this 3 years back during AOL meditation course. I still feel that I need time from my busy life for 10 day long self-meditation course and yes i can say after reading your experience I’m ready to plan it all over again very soon . I can write so much about meditation and silence but its something that one should experience. I loved the way you share your experience. You are wonderful person and i really admire you.its not because what you do …its about who you are…! Applauses. This is the best post you have written and probably the longest one too . Your description was so vivid that I could actually imagine how it would have been. I am sure now that I will attend this course. Thanks Shweta. You are doing a noble job. Must say that was a good read! !I am myself into meditation so totally find this in concurrence to my thinking. I however have not practiced vipassana but i know the Joy you talk about.Here’s a hug from one sister to another on the same path of finding one’s true Self. Thanks for the appreciation. May you continue to experience that joy and spread it further as it get multiplied that ways . Heyy I have tried AOL also but found Vipassana to be something I was actually looking for. I was a fellow meditator of Shweta, After reading her experience I couldn’t stop myself from sharing my experience. Though , I was practicing pranayama for last 2 years, but I was always eager to do meditation. But I didn’t know how to meditate , what to meditate on, who to meditate for. I couldn’t accept anybody as my Guru, sometimes I felt restless why I m unable to find right path. I realized it the individual’s responsibility to uplift himself/herself spiritually. In the mean time one of my friend called me from US ,we talked more than 1 hr and she told me that she knew someone who is going to India to take Visappana meditation which is 10days residential course. Next day I searched in Google and found their site address and spent sometime in reading. I felt an ardent desire to attend the 10 days course ,though they have centre in Singapore (where I currently stay) I preferred to go to India ,the land where it originated. I applied for 11 days leave and booked my flight ticket. I surprised myself that i took only 1 week to decide. I felt this is a wake up call; I really felt the time has come to know myself.I should follow the guidance of soul. I felt this was calling upon me for a very long time. I did not inform any of my colleagues about purpose of my visit to Delhi as I believed this purely personal journey. Finally I arrived at the centre for registration. The lady at registration told me that it was not so easy taking 10 days leave, coming from Singapore and spending money. Yes , indeed it was not easy ,it required much determination, will power. First day I found difficulty in sitting long for hours, felt restless, so many questions came to mind. But i told my self “I have come here to find the purpose of my life. I should be able to answer myself if I won’t practice seriously.” I kept aside all my philosophical thoughts, my tension and determined to devote rest of days in pursuit of some answer. i prayed in remembrance of my late father ,my late grandmother who were my inspiration, to help me . I surrendered to my Vipassana teacher and Almighty for 10 days to complete this course sincerely. I used to wake up before 4 am and walk alone in Centre area. It was quite enjoyable to see the clear beautiful sky with bright stars and listen to the chirping of birds.I followed timetable closely ,as I talk less, it was quite easy for me to maintain 9 days noble silence and on 10th days initially I found hard to open my mouth. I could feel real peace of mind and body in observing 9 days silence. As the days passed by I realized this is the jewel which I was searching for, I cried silently out of joy and happiness. It is place where all mediators help each other silently and get inspiration from each other. I am grateful from whom I got inspiration, and pray for those who got inspiration from me. One fellow student told me “Whatever I haven’t got in my pilgrimages I got it here”. I found so many young girls as my friends. I wish now, I could stay connected with them through meditation. When I talked to my friend who had told me about this course I couldn’t find words to express my gratitude. I just wanted to hug her. Though I came back to Singapore without seeing my mum and my family (I am from Orissa) I satisfied that this 10 days were the best days in my life. This course made me realize I should love myself more than anything else. I realized one should live happily with one’s ownself. Giving someone else a reason to smile and be happy, is probably the most satisfying thing one can do. Nice reading about your gesture. Hope a lot of nice things (and people) come your way as well! Thnaks for sharing your experience. Good post but could have been half its length. It is surprising to see the burning desire to praise self especially after attending Vipasana. This raises a question – how sinciere were you attending it and have you really learned anything after those 10 days? So you didnt talk for 10 days and then make up for it with this huge rant the next day? I bet you must have become even more hyper after serving this sentence. On a serious note, thanks for sharing this good experience and congratulation on not only completing the course successfully but also inspiring/helping your fellow voyagers. I could only figure the above from the article. Do they have a TV there or other time pass gadgets? lovely article yaar … I read every word of it! Nice writing … can see that it comes from the heart! Silence is Golden – its something that I’ve known for sometime(& time & again failed to observe that!!). 10 days off from work ain’t a problem, sitting for long hours also not a problem, not talking to someone is also not a problem but just sitting there & doing nothing(except observing my own breathing) is what sounds like a snag to me as I can’t sit for 5 minutes without doing something!! Still, will have a lookee & see when can I try this out! Also, as far as problems are concerned, my funda is that a problem is only as big as you consider it is! Consider it a small one & it will indeed prove out to be a small one eventually, consider it to be a mammoth and I’ve seen people getting crushed under such problems even though they actually are minor ones! hi there “the monk who sold his Ferrari “is amongst my fav collection .Particularly i heard abt vipasana but wasn’t aware of it…. These courses are like depositing a large sum of peace in a bank. You can withdraw it gradually for some time. However, to get lasting peace, it is important to keep depositing it in the peace bank. I have seen a lot of people who come out of such courses very happy. But they fail to sustain it in their day-to-day life. Some people stop practicing after years. It seems like you only publish posts from your fans and not from your critics. I hardly see any post where some one has a view different from yours ! I liked your blog. Wish to subscribe to your feeds. If you will reciprocate the same.! hey that was a wonderful post. i registered for this course at the delhi center from 17 to 28th dec just 2 days back. and today while randomly surfing though the net, i searched for the keywords “life is beautiful” (yeah you can well guess how vela i am) and there.. on the first page of results, was your post .. it was quite a conincidence coming across it at this time.. and it is a lovely post..i am so much klooking forward to being there.. and had this feeling that this might turn out to be quite a gift.. and your post makes me indeed believe that it will be no less ! thanks for this lovely chitter chatter post ! 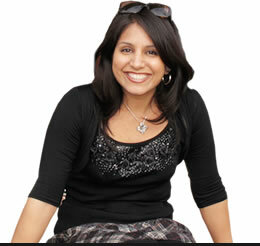 Hi Shweta, Came across your article while googling to see what appears when I type my name. After having read your article I would like to know the following from you. 5)Good/Enough productivity at work place. 6)Is Positive and maintains excellent work life balance. 7) Has no animosity or ill feelings for anyone. Is not short tempered. Though i do not know you, reading your post was like having a one-on-one conversation with you. I was looking to learn yoga and meditations to ease the problems i am facing and have a more control over my mind and self. I was gogling about something when i came across this post. I felt so inspired and i really want to do this. But my hands are so full at the moment, that i hardly get some time off. Is there some other way, so that i can practice this @ home or so. Once in a year , I attend this course @ Igatpuri .. probably this year in Dharmashala. Vipassana is one of the most beautiful experiences of life. ……. basic of this mediation is clinging should be avoid. hey shwetha, today i was feeling very depressed and lonely… so i was surfing thru net about positive thinking and some beautiful things that cud change my mood..i think i m fortunate enuf i cud read ur wonderful experience.. i m inspired a lot and would make it a point to go for vipasana course as early as possible. I have one question, will it help if one follow “Speak Less” strategy in life? today i read your blog and it inspired me to be positive and to think positively .Thank you for sharing your valuable experience.i am also talkitive in nature it inspired me to be silent and after reading article i decided to change.i will not tell thanks as it is too small. Here’s my petite time mmnageaent tip for meeting deadlines under stressful circumstances, especially for those who either work from home or have privacy at work. The short version: before engaging in a task , do pranayama (yogic breathing) followed by meditation. As you know, there are tons of meditations out there guided, unguided, focus on your ajna center, focus on your breath, visualize light in your body, shaktipat meditation, zen meditation right? Pick what you know, but give yourself the best possible shot at centering and grounding through meditation by FIRST doing pranayama, which is usually a form of controlled breathing. I learned a fabulous pranayama technique from the Art of Living center called the Sudarshan Kriya. The breath controls and cools the mind, which needs cooling down for meditation the purpose of doing these 2 practices before engaging in a task is to start accessing the Self first before taking action. The reason for that is to engage a yogic principle of non-doership it’s similar to feeling in the zone and then the tasks sort of do themselves. It’s a way of switching the burden from I have to do x, y & z to the Higher Self within ourselves taking care of business it feels much lighter and easier when you can make that shift. I hope this is of service to everyone. today i read ur blog….gud to knw abt vipassna…..i too recently went there it really works to make changes in yourself …to overcome the weakness that one have. my experience was same like you. i m a doctor from india.As ur was the case i heard about this course frm some one than instantly i had intense desire to attend the course. After reading ur experience i went to Sohna center.Believe me i m going through most difficult phase of life but this course changed my perspective towards life.Now i know this phase is temporary and it will only have to be better.Now i am more calm ,determined. Shweta Thank you very much!!!!!!!!!!!!!!!!!!!! Hi Shweta …. So taking inspiration from you, finally I attended my first Vipassana course in Calcutta from 17th-28th October. First three days..I too had the similar thoughts of running away from the campus. But then I made strong determination of completing it. I am really fortunate and thankful to you . This is my rebirth. If I had not come across this post of yours, I would have missed this. I know realize what I had my life of. Thanks again.May this post of yours help others to find this path of Vipassana. May You be blessed…..May You be Happy…… May all be Happy. Thanks Shweta for sharing this. It really is a lengthy post despite the title.